Answer these questions to gain insight into your relationship with food. Have an obsessive/compulsive relationship to food? Have frequent episodes of uncontrolled or binge eating, during which you feel out of control? Eat past the point of being comfortably full? Binge-eat uncontrollably even when not physically hungry? Binge, then feel guilty and depressed? Eat when you are not hungry? Restrict food and caloric intake? Spend excessive amounts of time and thought on food, secretly planning or fantasizing about eating ? Have a history of significant weight fluctuations? Have grazing behavior, during which you may return to pick at food throughout the day? Eat alone due to shame and embarrassment? Eat little in public, but overeat when alone? 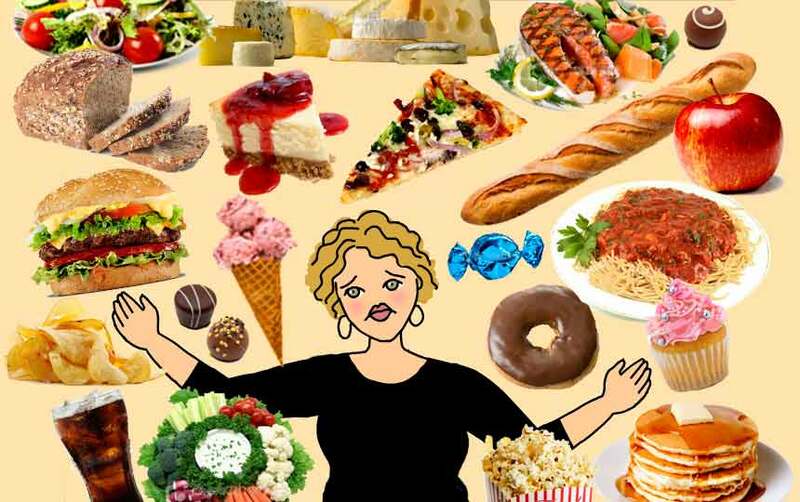 Do you obsess about food and weight? Feel guilt and shame due to overeating? Obsess about your body weight? Have eating patterns that are abnormal? Rapidly gain or loss weight? Feel embarrassed about your weight and withdraw from activities? Have a history of many and varied unsuccessful diets?